Dandelions may be a delight for the kids, but they can be a nightmare for your lawn. Get rid of these common yellow intruders by following this natural routine. 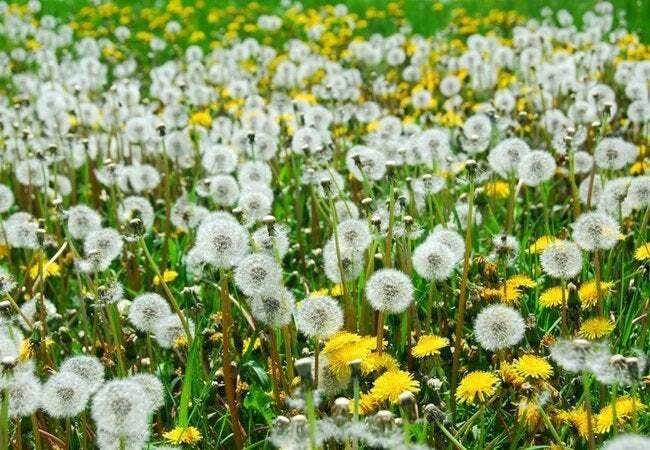 Though young children love dandelions for their bright yellow flowers and their irresistibly entertaining, fluffy seed heads, most lawn-tending grown-ups dread the sight of them. Dandelions are among the subset of weeds called broadleaf perennials, which are notoriously challenging to remove. 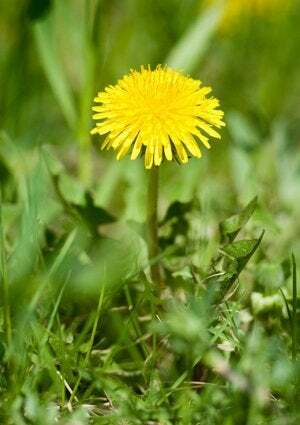 Once a dandelion plant has fully established its 10-inch-long taproot, the weed will come back year after year, spreading its spawn across your lawn in perpetuity. That long root is the key to total extermination. If you want to truly rid yourself of a dandelion, you must kill or remove all of the taproot, or the unwanted sprout will come back again with a vengeance. The quickest and least labor-intensive method of getting rid of dandelions is to spray them with a broadleaf herbicide that will kill the entire plant, not just the leaves, without harming the surrounding grass. But plenty of people would rather skip the harmful chemicals and take a more natural route. If that’s your desire, you should consider this long-term, multipronged approach to ridding your yard of dandelions. Start by digging up the plants. As any plant is more easily pulled from the ground if the soil is moist, first use the watering can to dampen the soil around the dandelion, and wait a few minutes for the moisture to settle in. Then, work a weeding knife down along the the base of the dandelion in two or three places. Push the soil away from the root of the plant by wiggling the knife. Finally, grasp the base of the plant between your fingers and gently pull. If it still feels stuck, work the weeding knife around some more, and then gently pull out the entire taproot with the dandelion. Any portion of the dandelion’s taproot that remains will grow into a new plant again, so you must kill whatever is left. Most natural herbicides you’ll find at the store are nonselective, meaning they will kill any plant that comes into contact with them (including your grass). Keeping that in mind, carefully apply herbicide only into the hole from which you just pulled the dandelion. Having dug up the dandelion, you now have in your lawn an open spot with loose soil, which is vulnerable to other aggressive weeds. To discourage a new enemy from taking root, fill this hole as well with pre-emergent herbicide. Even varieties of natural pre-emergent herbicide are nonselective, so it won’t be worth your while to try to plant new grass in the area. Instead, hope that runners from your already-established turfgrass plants will eventually fill in the spot. • Water deeply but infrequently to encourage a strong, deep root system. • Cut no more than a third of the length of the grass blades at any one time; this allows for good photosynthesis and keeps grass from drying out too quickly. • Properly schedule your fertilizing based on your grass type—fall for cool-season grasses like fescues, spring for warm-season grasses like zoysia and Bermuda. This routine for eliminating dandelions is time-intensive, but it has great appeal if you want to avoid toxic chemicals. Consider incorporating these activities into your regular lawn maintenance routine so you can regulate and deal with dandelions on a smaller scale. With a little diligence and patience, you can banish these garish troublemakers for good.